Looking for a simple and complete tool to be GDPR compliant ? Discover the myDPO features ! 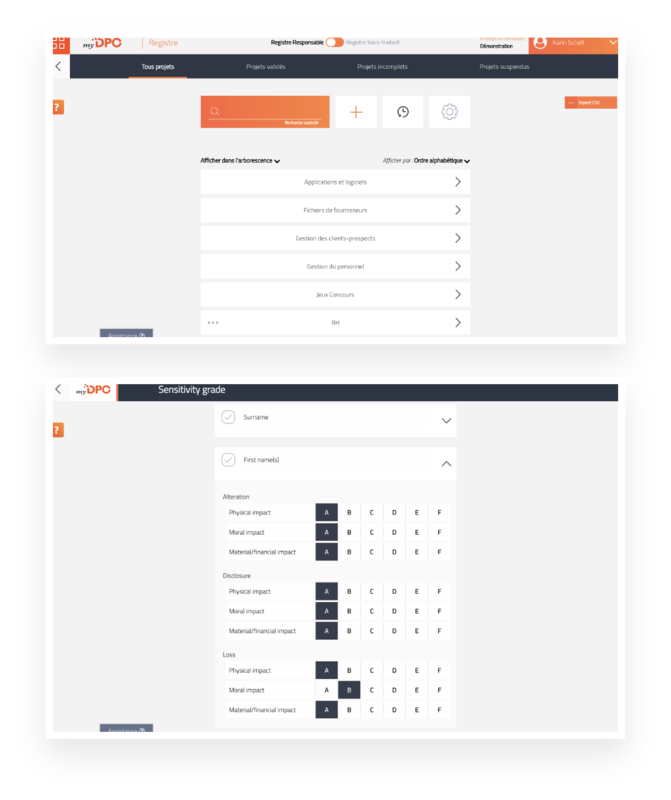 The “Compliance” module allows you to make an inventory of your GDPR compliance through a detailed self-assessment questionnaire regarding your internal processes. myDPO calculates your compliance score thanks to eight axis corresponding to new obligations coming out of GDPR, and lead you to an optimal compliance. To make it as easy as possible, every questionnaire Item is linked to an explanatory text which popularize data privacy legal and technical notions. This module is also offering a compliance upgrade program according to your assessment results. You can manage the implementation by involving every data privacy processing of your company. The Register module allows you to manage your register processing activities in a very optimal way. A complete tool to manage the compliance upgrade of your company processing operations and to create “Finalities” which are internal norms to determined processing datas within your firm to reach a particular goal. All your co-workers will have to do is following existing finalities to insure that their new projects are all GDPR compliant. Moreover, to help the DPO in the creation of your finalities, myDPO is including a complete reference document with every processes authorized by the CNIL. Designed for all operational staff, myDPO is, above all, simple to use. Thus, in addition to a processing creation form, the Registry module includes a questionnaire for data protection novices. It allows all your collaborators to easily inform each new processing operation thanks to few texts including guidelines established by a team of experts. The Accountability module gives you the ability to centralize evidence of your compliance. 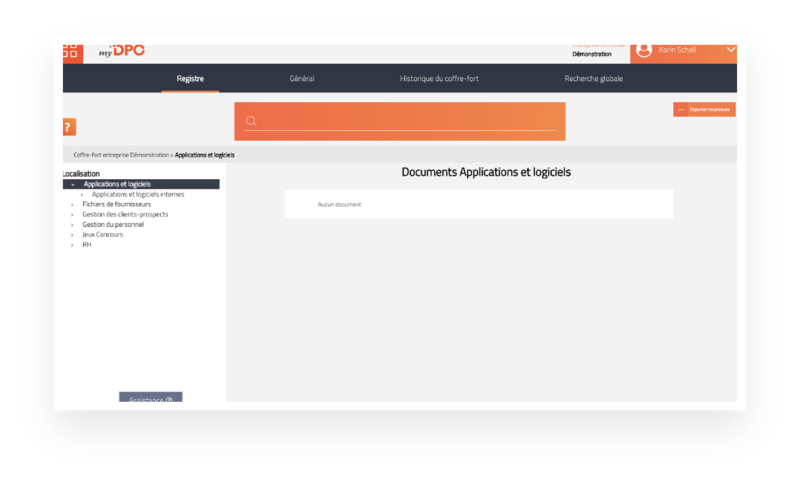 myDPO provides your company with a dedicated digital safe to securely host, in France, all the documents necessary to prove the conformity of your processing operations and procedures. Furthermore, myDPO’s Accountability module incorporates NF Z 42-013 certified technology, ensuring that all your scanned documents have the same legal value as your paper originals. The myDPO Training module is entirely dedicated to RGPD awareness and staff training through e-learning functionalities. 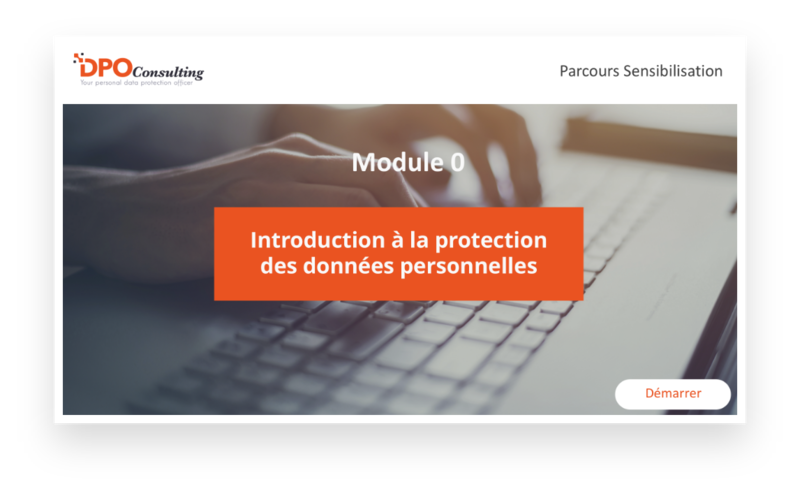 This module offers training for all levels of expertise, from data protection basics for all your employees to improving your DPO’s knowledge and practices. 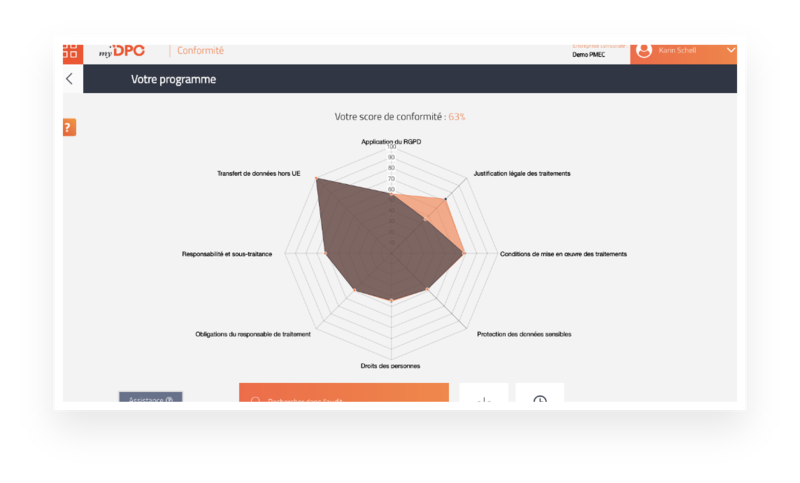 myDPO also allows you to integrate your own training materials, and includes a dashboard for monitoring the completion of your employees’ training. The perfect compliance tool for professionals.